Summary: A novelist struggling with writer's block finds romance in a most unusual way: by creating a female character he thinks will love him, then willing her into existence. Review: This comedy, with or without fantasy, is a gem. An original romantic comedy, filled with mystery, funny situations and a wonderful ending. 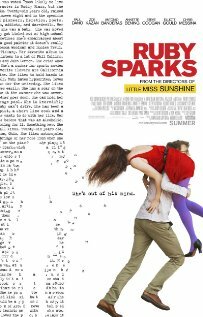 The plot got me from the beginning with its offbeat mood and had the particularity of having been written by the actress Zoe Kazan, who plays Ruby Sparks. The direction was handled by the same duo who directed “Little Miss Sunshine” in 2006, which I also recommend. Thus, we are before an enjoyable, smart and sometimes disarming picture. And yes!…like most of the comedies it has a couple of silly moments, which in this case worked wondrously.